Fernando Torres is in his best shape “for a while” going into Euro 2012, according to Pepe Reina. 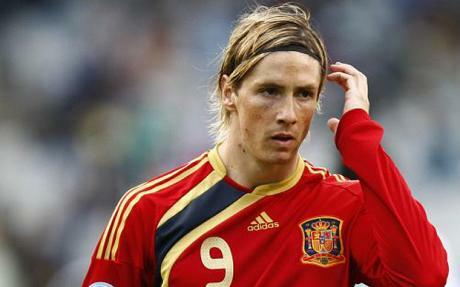 Torres has endured mixed fortunes since scoring Spain‘s goal that beat Germany in the Euro 2008 final. The Chelsea striker, 28, struggled for form after leaving Liverpool in January 2011, but played a role in his club’s Champions League triumph. “It’s been a while since I’ve seen him like this,” said Reina, Torres’s international team-mate. Torres could become a key figure as Spain attempt to defend their crown without David Villa. Barcelona’s Villa has been ruled out of the tournament with a broken leg , and Liverpool keeper Reina, who played with Torres at Anfield, believes the forward is primed to make a big impact at the tournament for the world champions. “Physically, he is in good shape,” he added. “Mentally he feels he is an important player in the national team, all the more so since Villa pulled out, and he relishes that role. “He feels comfortable and he looks switched on.